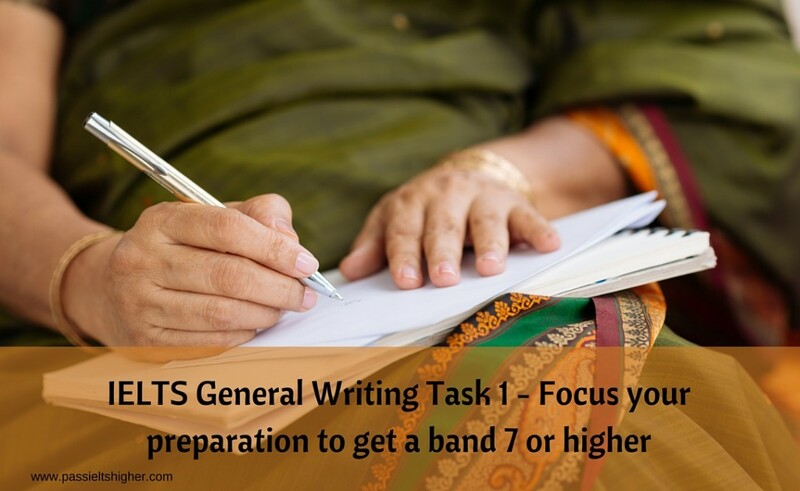 This is how to prepare yourself for a band 7 in the IELTS General Writing Task 1. You were probably looking for this information because no matter how hard you study, you are still getting 6.5 in your IELTS Writing skills exam and you need a 7 or 7.5. Of course, this is very upsetting because you can’t start your new career or advance an existing one until you get IELTS Band score 7 or 7.5, which will allow you to take the required medical exam (other other exam or course that requires band score 7 or 7.5). Follow this advice and you will get the opportunity to improve your IELTS writing score for the IELTS General Training Task 1. All the advice you read in my posts or on the Pass IELTS Higher site generally has helped followers to achieve the IELTS Band score they need successfully. Testimonials on the site support me in saying this, too. Having chosen the letter you wish to practise with, google the topic of the letter. I googled ‘looking after your houseplants’, ‘looking after your garden’ and used BBC.co.uk/gardening ‘How to be a gardener’ and once I was on that site I searched for ‘houseplants’ and ‘watering’. I also googled ‘how to keep your home safe when you go on holiday’ and used www.saga.co.uk. B) list useful phrases (these can be either for the topic of instructions for house care while you are on holiday, or general phrases you can use in the task 1 writing. Remember that it is very hard to predict the IELTS Task 1 writing topics, so it is more useful to remember general phrases that you can apply to any topic. C)Tips for securing your home – Water the plants. This will stop them appearing wilted and indicating an absent owner. If you haven’t already started, you should begin assembling a collection of phrases that you can recycle in any of your writing tasks (and indeed your Speaking exam). In the Good/Bad points section, I have chosen expressions which could be recycled in any IELTS writing task 2 and, with some adaptation, any IELTS General Writing Task 1 depending on the style of the letter you are being asked to write. Now you have your basic ideas, decide how many paragraphs you are going to write. I would suggest one for each bullet point (3) and choose the beginning (salutation/introductory sentence) and ending for your letter. You have 20 minutes, so use 4 minutes for each of the body paragraphs and 3 for the introductory sentence and the closing sentence, which leaves 2 minutes for you to check what you have written, remembering you have used 2 minutes to plan your letter. You have to write a minimum of 150 words, so you will probably write 30 words for each body paragraph and 15 each for the beginning and ending. You will get marks for the correct letter format. This is a letter to a friend, so you are going to use less formal/conversational English and contractions. How are you? I am writing, firstly, not only to thank you for offering to look after my house while I’m on holiday but also to leave you my contact number in case of problems. I’m so relieved that everything will be in safe hands. Please remember, you must choose a salutation that you’d use for a friend and in the first line say why you are writing the letter. Although I’ve said everything will be in safe hands, (linking the second paragraph to the first by repeating the topic) I’ve just remembered that you don’t really have green fingers (an idiom) (ha ha!! ), so if I might (conditional with a modal) point out that most plants are killed by over watering (new expression), and one way you can check this is by pushing your finger in the plant’s compost (new expression) to check how much water is needed. Finally, here’s my mobile number-07653429812, contact me only if you really have to. As you practise this, you will become more at ease with the planning, preparation and writing an IELTS General Training Task 1 letter. By achieving higher IELTS Band scores. Andrea is an IELTS teacher with many years experience who has coached many successful band 7/7.5 and band 8 students.